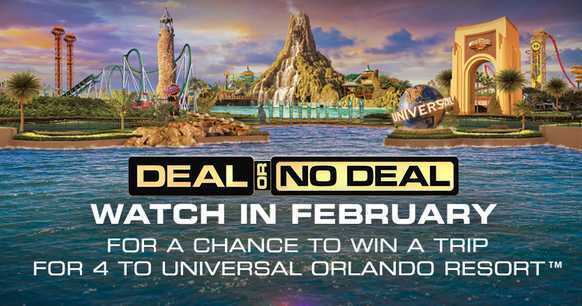 Enter into the CNBC Deal Or No Deal Sweepstakes right now at Dealornodeal.com for your chance to win a vacation for four (4) people to Universal Orlando Resort in Orlando, Florida. How To Enter: Go to this link:Dealornodeal.cnbc.com/sweepstakes during the sweepstakes period and follow the online instructions to register by entering all information requested on the registration form and once you filled out the entry form now including entering correct code word. 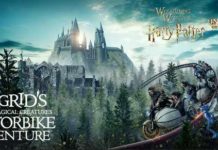 Prize: There will be one grand prize in this sweepstakes, Prize will consist of the following: a four (4) day, three (3) night trip for Winner and up to three (3) guests to Universal Orlando Resort in Orlando, Florida. 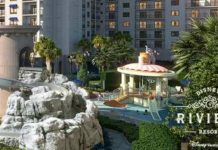 Trip Includes: hotel accommodations, round trip, Tickets to Blue Man Group at Universal Orlando Resort, Admission to Universal Studios Florida and Universal’s Islands of Adventure theme parks, plus Universal’s Volcano Bay water theme park. Total ARV of grand prize is:$3,864.10.!! 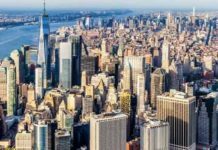 When To Enter: This sweepstakes entry begins on February 06, 2019 at 9:00 P.M. ET, and all entries must be received by March 06, 2019 at 8:59 P.M. ET. Who’s Sponsor: CNBC, 900 Sylvan Avenue, Englewood Cliffs, NJ 07632, NBCUniversal Media, LLC, 30 Rockefeller Plaza, New York, NY 10112.